Have you been dreaming of a sweet little darling to add to your family? Molly is a very sweet, adventurous little one who is sure to bring joy to any family! With her blue green eyes that match her Pomsky dad and her free-spirited nature that matches her Cocker Spaniel mom, she is a dream companion for anyone! If you are looking for a playful, smart, obedient darling, she is the perfect one for you. She is up to date on her puppy shots, and ready now to head to her new home just in time for the holiday season. She has markings like her Pomsky dad and a soft a coat like him too! Her parents are our personal pets (whom we adore) making her ideal for someone who would love a truly sweet companion. She was born in our home which means she has had a lot of snuggles and love. We just can't get enough this cute little girl! Molly is a rare breed among Pomskys because of her mix! 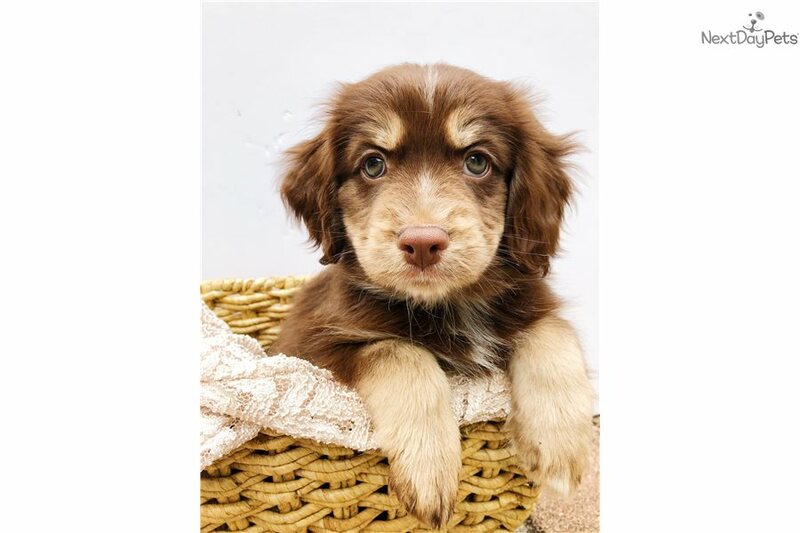 Both of her parents have pedigrees and her mother is a gorgeous Cocker Spaniel with copper tones. Her parents are exceptionally healthy and true to each of their breeds. We are guessing she will weight between 25-30 pounds full grown. Come to meet this cutie pie and fall in love with her sweetness! She comes with all of her puppy shots, a toy of her very own, a puppy pad, and some of her puppy food to help transition her into her new home! Come and meet this little cutie pie and fall in love with our sweet little Molly! If you are looking into shipping, we ask you to cover the cost of her airline ticket and any additional things she will need to get to your home. (We estimated $300+ but that might vary depending on the airline) We are happy to let you meet her over facetime and send you videos!